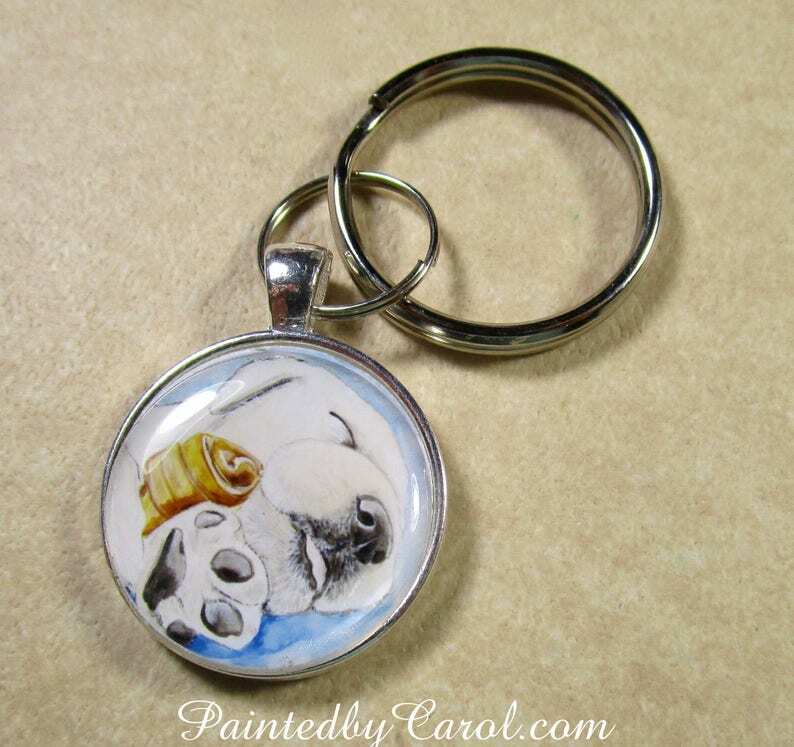 This yellow Labrador retriever keychain features my "Puppy Dreams" watercolor painting depicting a yellow Labrador retriever puppy asleep with a chew bone. The image protected by an epoxy cabochon. This setting is attached to a 1 inch key ring by a split ring for security. Both rings are nickel-plated steel. The entire product weighs less than 0.5 ounces (14 grams).